McGard produces the highest quality products at the most reasonable cost to meet our customers' needs. We strive to continually improve ourselves and our products while targeting our 'zero defects' goal. When we say "An American Manufacturer" we mean that all of our products are and always have been invented, designed, engineered and manufactured in our headquarters & factory located in Orchard Park, N.Y. However, in this age of globalization it is not always practical or possible for us to procure all needed materials and components domestically. Some components may come from our subsidiary in Germany/E.U. and some components may be sourced globally. While only a small percent of our products and/or packages contain foreign content, all packages are labeled accordingly. McGard invented its unique one-piece wheel lock for the automotive aftermarket in 1966. It functions like an existing lug nut, but requires a special key (tool) for removal. Our wheel lock is easy to use, yet provides a high level of wheel & tire security. It's also adaptable enough to allow for an unlimited number of different computer designed lock & key patterns. 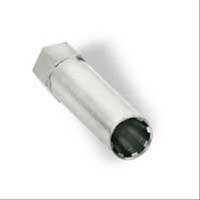 McGard employs the same innovative design and high quality standards used in the production of our wheel locks in the manufacture of chrome plated lug nuts. Our in-house plating technology and experienced personnel are second to none in the industry. These capabilities enable McGard to produce superior quality lug nuts that are strong, safe, durable and exceed typical corrosion resistance standards. They're so durable in fact that we guarantee them for life not to rust, chip, or peel!